With a growing number of page views per month and regular exposure in the press and media, we have lots of advertising and P.R. options available for green, ethical and local businesses who wish to gain exposure on this, our multi award-winning website. 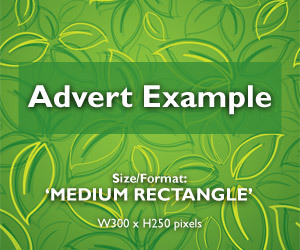 We cater for 4 ‘display advert’ sizes and these are shown on this page. They pretty much fall in with the most popular industry-standard (IAB/UAP/Google) digital advertising sizes, so should therefore make life easier for advertisers who may have existing adverts. - Single ‘sticky’ post* position(s) when available occasionally. For advertisers interested in single page/post positions, it is worth noting that the exact spots are allocated on a first come first served basis, so don’t delay in choosing your preferred post or page! Advertisements will include a hyperlink to your own website. * Unlike standard blog posts ‘sticky’ posts stay in the top blog post/position on the main blog page rather than dropping further down to a lower position/page when newer posts are added. These ‘sticky’ blog posts will remain at the top for a month, then drop down the page and ultimately off of the main page, but will remain on the site for 3 months. All display adverts attract a 5% discount if booked for 6 months and 10% if 12 months are ordered at the outset. We recommend that file sizes are optimised for the web so that they are fast loading. Adverts must be ‘static’ (no animation, no Flash). For customers who need help with the design and preparation of their adverts, we recommend that you separately commission our colleagues over at Pilot Design & Advertising Ltd, based locally in West Sussex (tel: 01798 815 960). How do you book an advertising space? If you have an existing advertisement please email us a copy and indicate your preferred position on the site. Once we have checked that your advertisement is compatible with our site niche, we will email you confirming its inclusion and position with an invoice attached. On receipt of payment the advertisement will be published. If you are unsure of the most suitable position and would like to discuss the options, please email us with your contact information and requirements, we will then call to chat through the options. 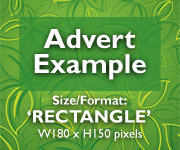 We also offer other ‘non-display’ forms of advertising and P.R. opportunities for organisations seeking exposure, links and potential SEO benefits without displaying an overt ‘display advert’ on our site. Please contact us to discuss the various options available. We may consider publishing press releases if the topic of your release is compatible with our site niche (e.g. if it relates to keeping Sussex ecologically ‘green’). There would be an administrative charge of £50.00 per press release and it would remain on the site for a year. If you would like to take advantage of this opportunity email us a copy of your press release. Prior to publishing it we will email you confirming its inclusion with an invoice and our BACS details. On receipt of payment the press release will be published in our Green Blog area. Are you a green, ethical and local business with green values? We are currently building a green video gallery to promote green, ethical and local companies with green values, their products and services. If you are interested in featuring your video in this gallery please contact cort@sussexgreenliving.co.uk, more information can be found on the Video Marketing page here. Advance payment required with all advertising orders. Why add your video or advertise on Sussex Green Living? Sussex Green Living is a fast expanding community of Sussex residents who are looking at ways they can make a difference. Oh and many other visitors from the World Wide Web of course! It’s a community initiative benefiting the environment, wildlife, children and charities. As a result it gains regular press and media coverage with a growing page view per month. 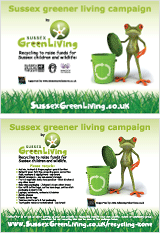 Our Sussex Greener Living campaign raises money through recycling waste resources which should go to landfill. Directly benefiting four charities; Horsham Matters, Springboard Project and the Philippine Community Fund, also benefiting the William Penn Primary School in Coolham. Learn more here. Sussex Green Living is passionate about communications and education which inspire and empower consumers, communities and businesses to work green, play green and live green. We want to help change behaviour and encourage people to live more environmentally and sustainable lives. We provide these advertising opportunities to help people and green, ethical and local businesses achieve these values. Lets spread the word that we must all live greener and cleaner!